Start Postponed to 22nd April ! One day to go... with 77 registered players up to now, and some more want in, even though regsitration ended on 18th April. One week to go until start of the giant computer chess event ULTIMATE CHALLENGE with 22 rounds in one month, April 21 – May 20, time control 90 minutes + 30 seconds. 60 players already signed up, among them many of the world's best engine players and about 20 top centaur players, who will try to give the decisive human input to their machines. We proudly announce a super strong Open Tournament for eyerone on our internet chess server, from April 21 til May 20, 2017. 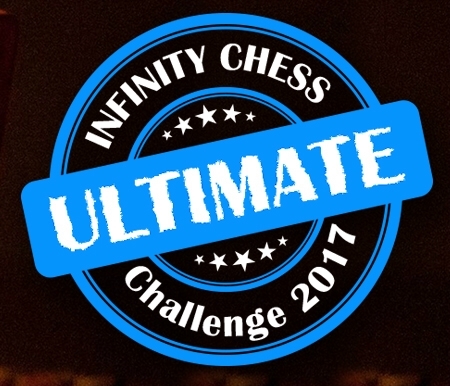 Infinity Chess Engine Masters are the toughest competitions in rapid chess ever seen on planet earth. Don't miss it...! Here all players can find the Matches Schedule According to Dates. 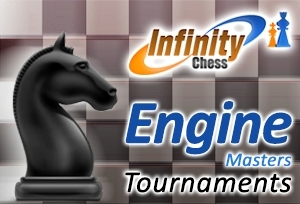 These are the 8 high rated teams and their chess engines for the Infinity Team Cup 2015, starting on 1st February. 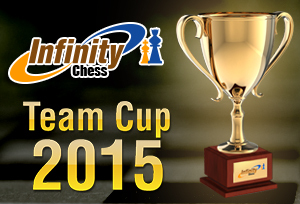 Are you ready for the Infinity Chess Team Cup in February 2015? Go and look for your team. 24000 Euro are waiting for the winners. The 3rd ENGINE MASTERS tournament is scheduled for 31st August. Money Prizes $ 500 and $ 200 USD. Don't miss it!